The Citizens’ Constitutional Forum is concerned with the slow response from the authorities in the aftermath of the Asbestos discovery at the Suva Civic Centre building. “The fact of the matter is that the information on the discovery of Asbestos was disseminated by international and regional organizations before the local authorities acted on this issue,” said Mr. Bulutani Mataitawakilai, the Chief Executive Officer of CCF. The CCF reiterates the safety of all Fijians is paramount and should never be jeopardized regardless of whether it’s natural disasters like cyclone or tsunami or man-made disaster such as the Asbestos exposure. “CCF is concerned that finger pointing and blame game has started amongst the local authorities in the aftermath of the Asbestos exposure. We expect due diligence on this issue to have been upheld by the clients and the contractors carrying out the works at the building,” said Mr. Mataitawakilai. The silence from the Minister for Employment, Productivity and Industrial Relations is also a worrying scenario. 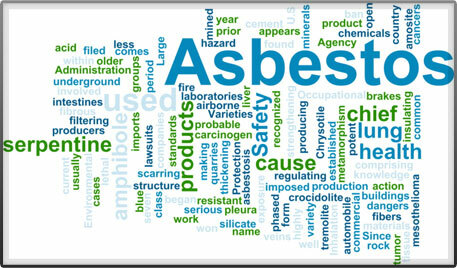 The people need to be informed on the nitty-gritty aspects of Asbestos similar to the destructive forces of natural disasters, as many are still unaware of the dangers posed by this hazard.